Home learning is study students at TMHS do outside their normal school hours. The purpose of home learning is for students to develop and deepen their understanding, skills and knowledge and thereby gain greater independence in their learning. Home learning is essential for the development of our students and should be valued as such by our students. Home learning can and should take numerous forms to give our students a variety of different ways to extend their learning. This should be done in a way that is personalised to them and affords them a variety of ways of developing their learning outside of school hours. It is also an ideal opportunity for students and teachers to engage in a dialogue about the student’s learning, how they can improve their learning through redrafting, responding to their teachers’ marking and take a pride in the work they produce. Home learning is an extremely important aspect of how we learn at Temple Moor. Learning outside of the classroom students will also develop important skills such as researching and independent enquiry. Home Learning also helps students to develop skills such as time management, organisation and planning which will help all students in becoming lifelong learners. Please try to provide your son/daughter a quiet place where they can successfully complete their home learning. Please check their planners on a regular basis to ensure they are writing down the work set. 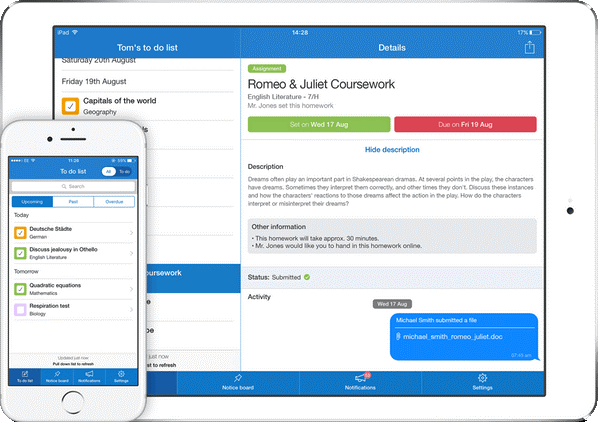 Teachers will explain homework as it is set then log it on ‘ShowMyHomework’ that both parents and students can refer to. How does the school support home learning? All students have the opportunity of attending Home Learning Club every Tuesday, Wednesday and Thursday from 3pm until 4:30pm. This is supervised by a suitably qualified member of staff who can also help support students with their work. This takes place in the library and students can use all the ICT facilities available. All students attending Home Learning will also receive additional rewards. If when checking your son/daughter’s planner you become concerned that they are not receiving enough home learning, you should in the first instance contact the relevant teacher or Head of Department who will act upon this. If you still have concerns, please contact the relevant Head of Year. Show My Homework is an online tool by which teachers can communicate home learning to students and parents, in addition to the recording of it in the planner. This provides students and parents with detail about what the home learning is, when it is due in and whether there are accompanying resources or links. As deadlines are reached, teachers can record whether the work has been submitted, not submitted or submitted late. This allows students to organise their time, promotes independence, allows parents to be able to support students in completing home learning, and improves home-school communication.